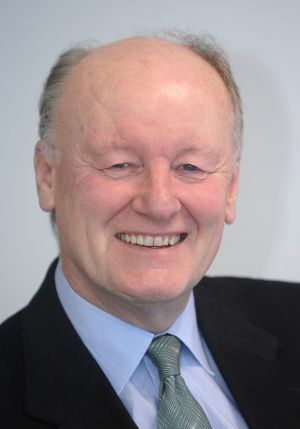 Peter Davies is Managing Director of regional airline Air Southwest. (www.airsouthwest.com), based in Plymouth (England) which is wholly owned by the Sutton Harbour Group, a transport and regeneration company listed on the London Stock Exchange. Peter joined Air Southwest in February this year from Caribbean Airlines in the West Indies where he was Chief Executive and has nearly 30 years’ experience in aviation including Chief Executive of SN Brussels Airlines. He also held senior posts with DHL Express Systems in the UK, Belgium and North America for 12 years. Judging by the recent crop of headlines you could be forgiven for thinking that regional air travel was dead and buried. As I write easyJet has just culled 360 flights a week from Luton and East Midlands, blaming high costs at Luton and lack of growth at East Midlands, choosing instead to deploy its aircraft to more lucrative European routes. That followed Ryanair’s announcement of a 30% winter reduction at Stansted and an almost complete withdrawal from Manchester, again citing high charges, but tempered by an announcement of expansion at Leeds Bradford. Then came the collapse of Slovakian SkyEurope – which flew from Luton and Manchester in the UK – sparking a tussle for market share, and just days later figures from IATA showed global airline losses of more than £3.7bn in the first half of the year. All that makes pretty grim reading and it is tough out there, but just because it’s tough doesn’t mean that you can’t manage through a difficult period. And the more negative we become, the more we risk imbuing our customers with the same sense of doom and gloom to the point that they begin to regard air travel as a miserable experience just because we keep carping on about what a miserable time we’re all having. What we should be doing is fighting our corner, enhancing the customer experience and – rather than treat them as cattle in the relentless drive to cut costs – actually treat them with respect. That’s exactly our strategy at Air Southwest. We’re a young airline – six years old next month, and we’re a niche airline, but above all we’re a customer focused airline with a network that is structured first and foremost around their needs. The South West of England is not easily connected to other areas of the UK because of its geography so what our passengers demand are fast and efficient links, many of which are time-critical business services. We have innovated by introducing a 20-minute check-in at Plymouth, Newquay and London City Airport, introduced a flexible premium package aimed at business travellers and we have been aggressively promoting our services in competition with the rail network. Key to this was the introduction in April of a twice daily service to London City Airport from Plymouth and Newquay. The flight time from Plymouth – which operates as a direct service in both directions – is just 70 minutes. Combined with speedy check-in and fast transit through London City, we shave four hours off an average day return journey. That’s an enormous saving when you’re marketing to business customers and we’re seeing more people abandon the train in favour of air. Our transparent pricing policy has also contributed to our success. Too many airlines, for far too long, have insulted the intelligence of their customers through a pricing regime that aggregates a raft of hidden charges to the point that the final fare they are charged bears absolutely no resemblance to that advertised. It’s a shoddy practice that antagonises customers and does nothing to improve the image of air travel. That’s why we introduced a ‘Fares Fair’ policy to tell customers exactly what they’ll pay from the outset, with none of those hidden extras that appear at the last minute. The feedback has been very positive. Our industry has also done itself few favours when it comes to promoting its environmental credentials, especially in relation to regional air travel. For too long the environmental lobby has used us as the whipping boy for climate change because we’re an easy target. At Air Southwest we’ve gone to great lengths to educate our customers so that they can put all these claims into context and make an informed choice. This includes information on comparative emissions from other sectors (like road transport and industry, for example), and comparisons per passenger mile for comparable journeys by car and train. In fact our Dash 8-300s achieve around 70 miles per gallon per passenger and because our aircraft typically fly at 14,000 feet we’re well below the altitude where emissions can have a multiplier effect. Many of our customers have expressed surprise at the favourable environmental performance of our aircraft when compared with alternative forms of transport, so it falls to all of us to try and put the environmental arguments into perspective. I’m proud of what Air Southwest has achieved. Sure, it’s a tough market and I wouldn’t pretend otherwise, but reports of the death of regional air travel are very much mistaken.